PARAGOULD – Children’s Homes, Inc. will host its ninth annual Casting for Kids Bass Classic tournament on Saturday, April 6 at Lake Norfork in Northern Arkansas. Registration, including check-in of pre-registered participants, begins at 5:30 a.m., at the atrium area of Lake Norfork Inn. Launch, which begins at 7 a.m., and weigh-in, which begins at 3 p.m., will be located at the Henderson Recreation and Park Area (U.S. Army Corps of Engineers facility at Henderson, Ark.). Two-person teams will compete for cash prizes: a guaranteed $1,000 payout to the first-place team, $500 to second place, $250 to third place, $125 to fourth place and $80 to fifth place. Additional cash prizes may be added the day of the tournament. The participant who catches the biggest bass in the tournament will receive a prize package from Favorite Fishing Rods of Thayer, Mo. In addition to the cash prizes and Big Bass prize, many door prizes will be awarded, including a $500 Bass Pro Shop gift card, premium rods and reels and other fishing necessities. Cost for entry is $80 per team. Registration information can be obtained by visiting, calling or emailing Gary Cupp (870-239-4031, ext. 140 or gary.cupp@childrenshomes.org ) or Micah Brinkley (870-239-4031, ext. 131 or micah.brinkley@childrenshomes.org ). A registration form is available for download at www.childrenshomes.org. For more information about the tournament, including updates about prizes, launch orders, visit the website or Children’s Homes, Inc.’s Facebook page. The tournament is the sole fundraising event for Children’s Homes, Inc., and is sponsored by tournament partners Glen Sain Motors of Paragould, Morgan Stanley of Memphis, Tenn., First National Bank, Affordable Medical and Johnson Manufacturing, as well as many other businesses. Event sponsorships and entry fees are used to cover the expenses of this tournament, including the cash prizes. Funds donated to Children’s Homes, Inc. by churches and individuals are not used for this purpose. All tournament proceeds benefit Children’s Homes, Inc. Children’s Homes is a 501(c)(3) non-profit organization that provides help, hope and home to children and families. Children’s Homes cares for approximately 40 young people in nine homes on its residential education campus in Paragould. 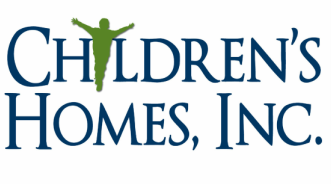 Children’s Homes also provides foster and adoptive care to children in Arkansas and Missouri. Children’s Homes is privately supported; donations from individuals, churches, groups and other organizations provide the funding for its operating budget.